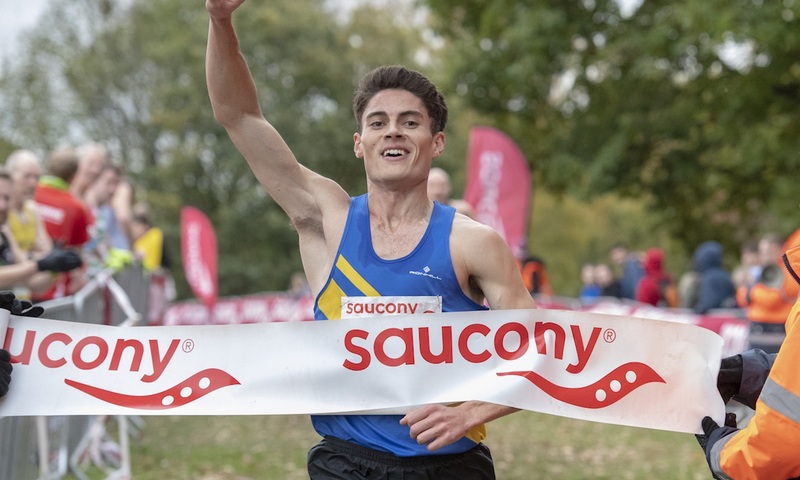 The two clubs claim the senior crowns as Herne Hill Harriers and Morpeth take junior gold. Despite a large fallen oak tree having to be moved from the course earlier in the week, it was a perfect day for cross country running with over 1000 teams competing. The team event is a great early season opportunity for athletes from junior to senior ranks to kick start their winter racing schedules. In the senior women’s race, Tonbridge claimed a great win as they denied Aldershot, Farnham and District a third consecutive title. 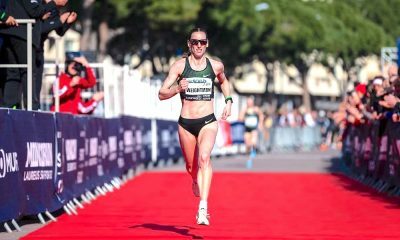 Aldershot’s Emily Hosker Thornhill led the first leg running 9:10.65, which was the fastest of the day, to give the defending champions a lead over Nicole Taylor of Tonbridge, who ran the third quickest time of the day herself with 9:34.60. 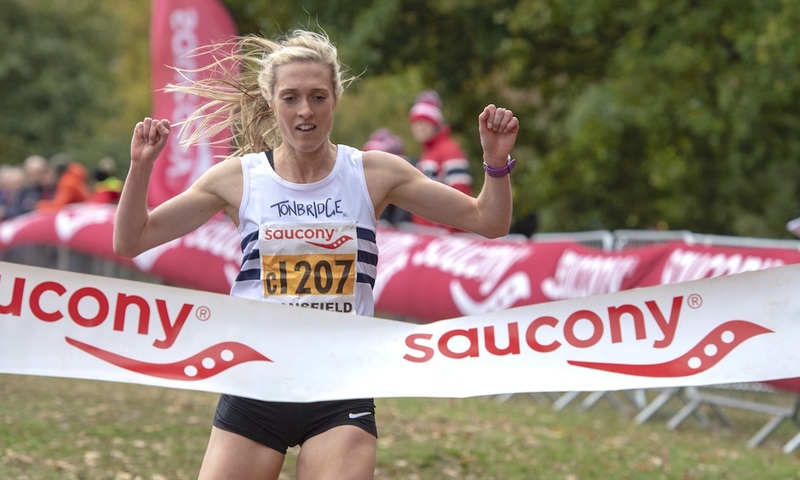 A strong second leg by Lucy Reid put Tonbridge in front, a lead Ashley Gibson did not relinquish on the final leg, with the club clocking a combined time of 29:27.50 over the 9km race. 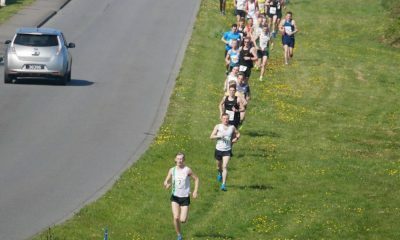 Aldershot took silver clocking 30:01.95 ahead of Rotherham Harriers with 30:16.95. Jess Judd of Blackburn Harriers ran 9:23.45, the second quickest of the day, to overtake 25 people on the final leg. 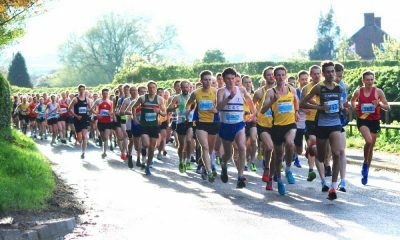 In the senior men’s race, Leeds City’s team of Ossama Meslek, Graham Rush, Emile Cairess and Philip Sesemann claimed a superb win over Aldershot, Birchfield Harriers and defending champions Tonbridge. Anchored by Sesemann the quartet finished 30 seconds ahead of second placed Aldershot, with the southern club’s Jonny Hay running the fastest leg of the day in 14:56.35. Birchfield Harriers took bronze ahead of Tonbridge. The junior women’ race was the first event of the day and 24 teams competed over the 3 x 2.5km course. First over the line was the Loughborough Students AC A team of Zoe Wassell, Alex Barbour and Cari Hughes in a total time of 26:03.15. As university teams do not compete for the gold medals that went to Herne Hill Harriers, who were second across the line. The south London team consisted of Ella Newton, Zoe Tompkins and Alexandra Brown and finished just three seconds ahead of third placed Aldershot. Khahisa Mhlanga of Herts Phoenix AC ran the fastest leg in 8:06.90. In the junior men’s race Morpeth AC took the win in 26:31 from Tonbridge AC in a combined time of 26:41 ahead of Cambridge and Coleridge AC (26:43). A close run contest was blown wide open by Rory Leonard on the last leg. Leonard represented Great Britain at the European Athletics U18 Championships this summer over 3000m. First place was Herne Hill Harriers A in 26:15.45 with Yasmin Marghini, Phoebe Anderson and Charlotte Alexander. Invicta East Kent were the winners with a team consisting of Cameron MacRae, Charlie Brisley and Matthew Stonier. Just 11 seconds behind were Aldershot, Farnham and District (26:57.10) and third place were Shaftesbury and Barnet AC in 27:16.25. Matthew McKay of Rossendale ran the fastest leg with 8:48.00. Special mention goes to Mohamed Ali who ran 8:48.65 to take his Ealing team from 53rd to 25th on the final leg. Ali ran a world age group best for 14 year olds over 3000m earlier this year. The Windsor, Slough, Eton and Hounslow trio of Charlotte Dewar, Eloisa Harris and Jasmine Young won the U15 girls race, while Aldershot’s A team of Michael Gar, Ryan Martin and Woody Jerome won the boys event. Cambridge and Coleridge’s team of Isaac Morris, Lewis Buchallet and Luca McGrath won the U13 boys race, while Tonbridge AC won the U13 girls relay thanks to the efforts of Lily Slack, Sophie Slack and Sam Breed. 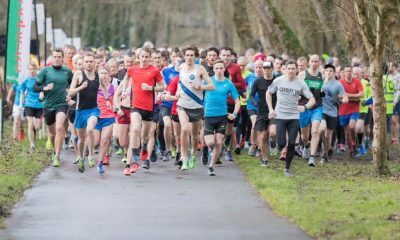 What makes the Leeds Abbey Dash a ‘must do’ race?